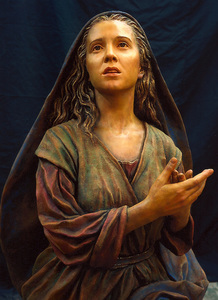 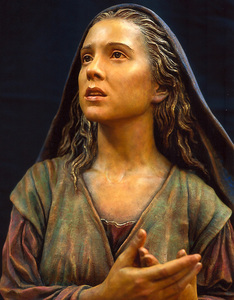 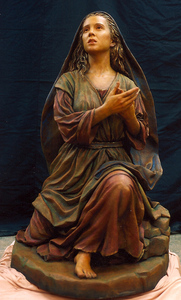 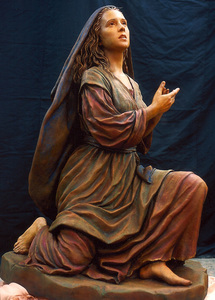 St. Anthony Church in Orland Park, Illinos commissioned the polychromed hydrocal sculpture. 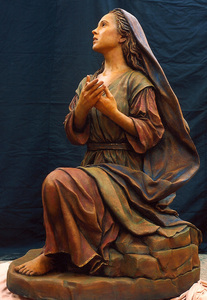 She is represented as Christ's first apostle during Pentacost and is in the kneeling position and facing the altar in an act of reverence. 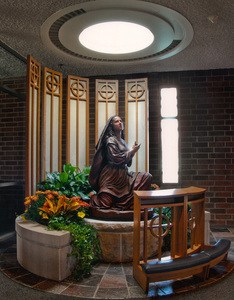 There are several renditions in different churches across the United States.